That’s some pretty extreme DIY. 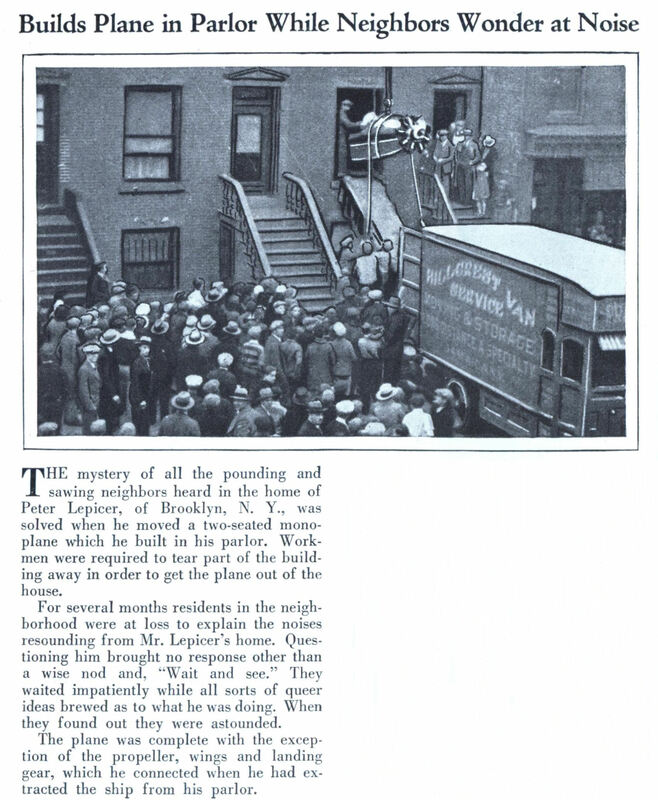 THE mystery of all the pounding and sawing neighbors heard in the home of Peter Lepicer, of Brooklyn, N. Y., was solved when he moved a two-seated monoplane which he built in his parlor. 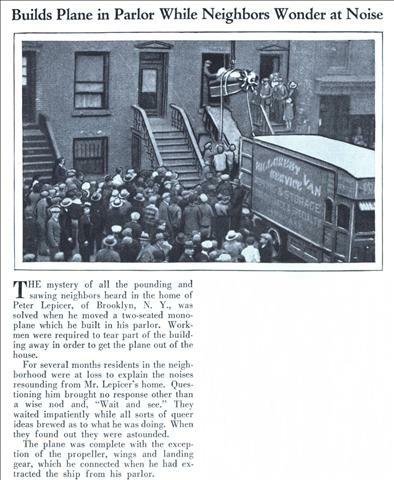 Workmen were required to tear part of the building away in order to get the plane out of the house. For several months residents in the neighborhood were at loss to explain the noises resounding from Mr. Lepicer’s home. Questioning him brought no response other than a wise nod and, “Wait and see.” They waited impatiently while all sorts of queer ideas brewed as to what he was doing. When they found out they were astounded. 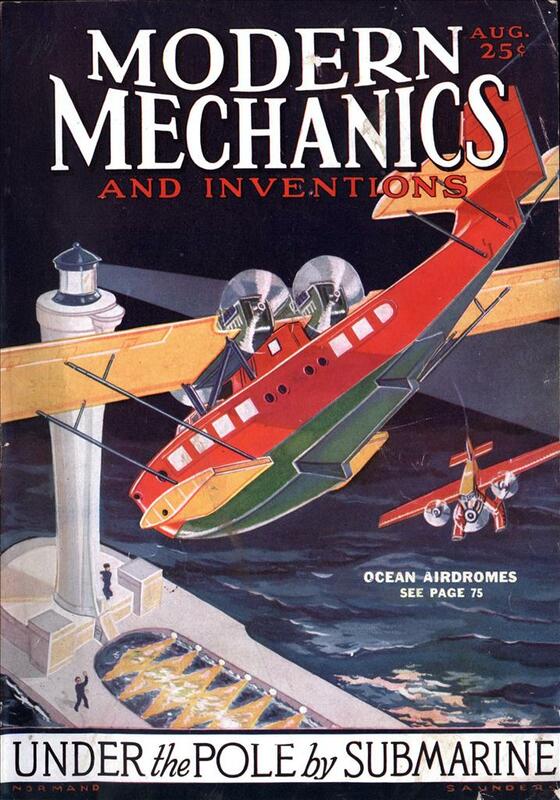 The plane was complete with the exception of the propeller, wings and landing gear, which he connected when he had extracted the ship from his parlor. They had to tear the building apart? Why? Tear the plane apart. A second cousin of mine did the opposite – he sealed a classic T-Bird into a basement (by converting a garage to a gamesroom.) Eventually he removed it. Its so hard to do a test flight in the den. “Tearing the building apart” apparently amounted to removing the window frame, which probably appealed more to the homeowner than taking apart the plane he’d just so painstakingly put together.